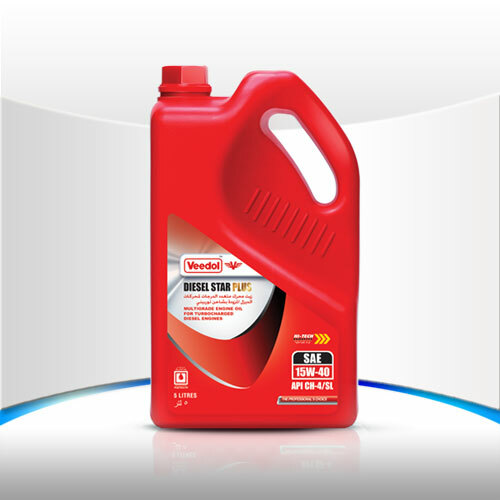 Veedol Diesel Star Plus 15W-40 is a high performance diesel engine oil, suitable for modern generation turbocharged / supercharged automobile, heavy duty industrial and off-highway diesel engines. It can be also used in petrol engines requiring API SL specifications. Suitable for use in diesel engines requiring API CH-4 & petrol engine requiring API SL lubricant performance. Excellent soot control and maintains engine cleanliness. Blended to ensure fuel efficiency and reduced oil consumption. Outstanding anti-wear properties for protecting heavy loaded engine parts.